With the soaring cost of energy bills, wouldnt it be nice not to depend on the local utility company? Wouldnt you like to be your own green energy supplier? Its becoming more and more popular for homeowners to take over a portion of their own electricity production. The Heritage Foundation, a leading economical and political think tank estimates that American household's energy utility bill costs will increase up to 50% of what it currently is under the Obama administration's Cap and Trade program. Are we ready for that? Wind Power or Solar Panels? These are both green energy solutions that are more accessible to the homeowner than ever before Solar panels are passive energy "collectors" that use arrays of silicone wafers to harvest radiant energy from sunlight. 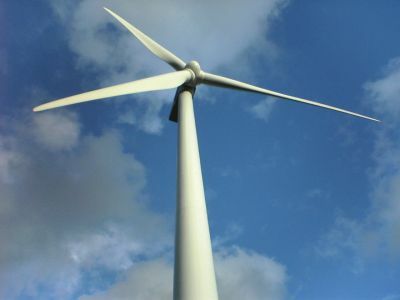 Wind power on the other hand, is used to turn blades coupled to a turbine to generate electricity. Which one is right for you? One factor to consider is the environment. Do you get more wind or sunlight? Also consider your property. Solar arrays take up very little real estate and can even be roof-mounted. A bladed turbine is recommended for properties of a minimum of one acre. How Much Electricity will a Residential Turbine Produce? A substantial amount. The AWEA (American Wind Energy Association) states that a single turbine will save 50% to 90% on your electricity bill. Imagine, for those of us in hot locations, that is sufficient to essentially run the central air conditioner all summer for free! An added benefit is that your local utility company will buy the excess that you produce during very windy periods (per the Public Utility Regulatory Policies Act of 1978, or PURPA). To reap these savings, a typical home needs a turbine rated anywhere from 5 to 15 kilowatts. I Know this is a Green Energy Technology. How Green? During a turbine's expected lifetime, it will offset 200 tons of greenhouse gas emissions and 1.2 tons of other air pollution elements. This makes it a win-win. Not only will the wind provide free energy for you (after purchase and installation), but it will offset the damage the utility company does to the environment. 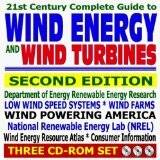 Are There any Disadvantages to Wind Power? Very few. Keep in mind that the moving parts will create a small bit of noise, but its not disturbing. Also, the pole can be placed a short distance from the home. They will require a small amount of maintenance, but so little as to be insignificant. OK, Whats the Bottom Line? The cost for the pole, blade assembly, and mechanical turbine varies widely. You can anticipate shelling out from $6,000 to $22,000 depending on manufacturer, self or professional installation, etc. The average life-span is about 20 years and it will pay for itself between 5 and 15 years. Other than that, just having a wind turbine on your property increases the value of your property.